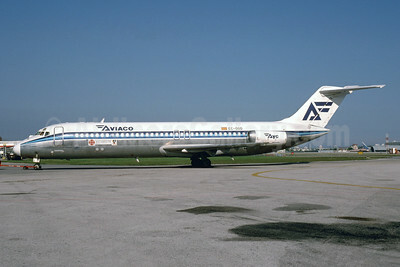 (Aviación y Comercio, S.A. dba) (Madrid) 1948 - 1999. Photos. Framable Color Prints and Posters. Digital Sharp Images. Aviation Gifts. Slide Shows. 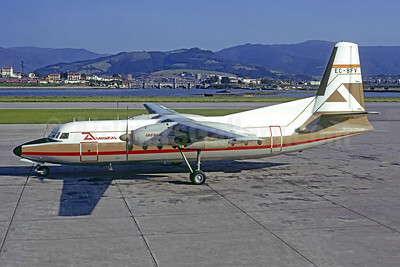 AVIACO-Iberia Fokker F.27 Mk. 100 EC-BFV (msn 10107) GRO (Jacques Guillem). Image: 945914. 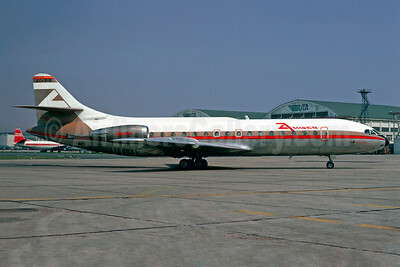 AVIACO-Iberia Sud Aviation SE.210 Caravelle 10R EC-BIB (msn 223) LBG (Christian Volpati). Image: 900829. 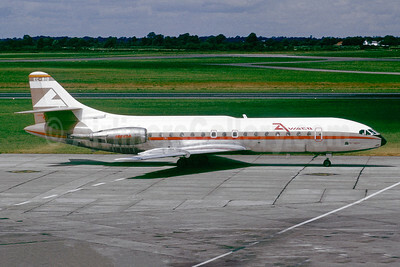 AVIACO-Iberia Sud Aviation SE.210 Caravelle 10R EC-BID (msn 228) DUB (Jacques Guillem Collection). Image: 945915. 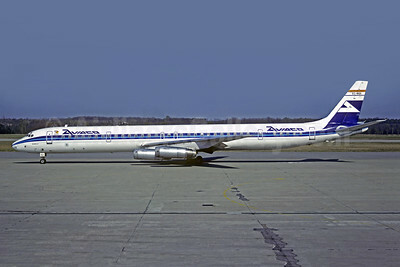 AVIACO McDonnell Douglas DC-8-63 EC-BQS (msn 46079) MXP (Christian Volpati Collection). Image: 945912. 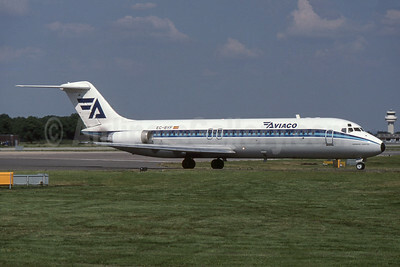 AVIACO McDonnell Douglas DC-9-32 EC-BYF (msn 47542) LGW (SPA). Image: 945913. 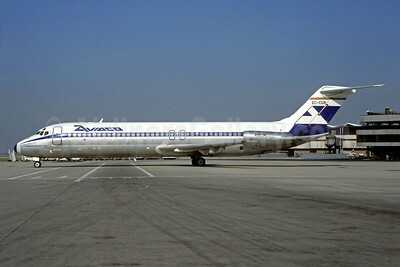 Best Seller - "Francisco de Orellana"
AVIACO McDonnell Douglas DC-9-32 EC-CGR (msn 47644) ORY (Christian Volpati). Image: 907608. AVIACO McDonnell Douglas DC-9-34 EC-DGD (msn 48105) (Xacobeo '99) MIA (Bruce Drum). Image: 104974.